In previous posts (here; and also here), I noted that actually the United States opposed Jordan's independnce and acceptance into the UN when first proposed by Great Britain. 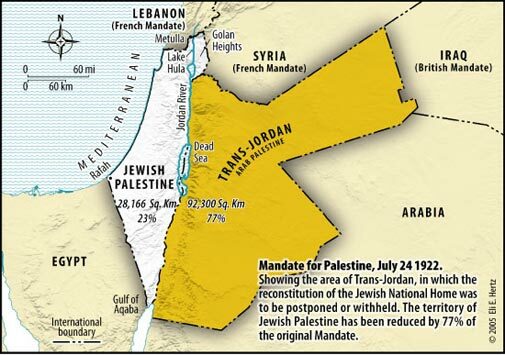 One main reason, central to understanduing the concept of the Mandate for Palestine's territorial conceptualization, is that TransJordan was part of "Palestine" and due to the 1924 Anglo-American Convention, Jordan couldn't not exist without having a resolution nof the Jewish national home which was intertwined. with further details to my previous posts (and another one) on the opposition to the independence recogntition of Jordan based on the 1924 Anglo-American Convention that confirmed the original status of TransJordan as territory within the Mandate of Palestine area and which was to be part of the historic Jewish homeland. As argued, until Israel was created, Jordan could not be considered a state. Letter, dated July 15, 1946, from Acting Secretary of State Dean Acheson to President Harry S. Truman, recommending that the United States vote in favor of admitting Trans-Jordan into the United Nations, and an attached memo detailing the United States State Department's position on the question of admitting Trans-Jordan to the United Nations. From the Confidential File.